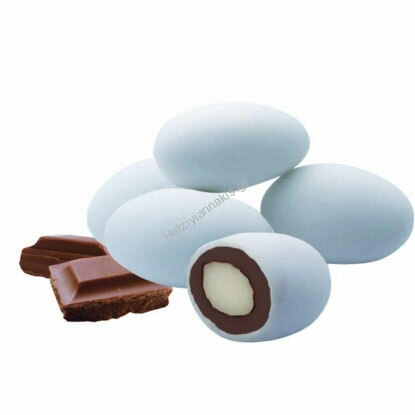 Sugar almonds from Greece, whole roasted almond with real milk chocolate, coated with a layer of sugar. Choco Nuts Premium Series. Price per kilo: 23,60 euro VAT included. Shipping cost not included. https://www.preciousandpretty.com/2012/03/greek-koufeta-almond-chocolate.html Greek Wedding Favors|Orthodox Crowns|Stefana|Baptism Invitations Sugar almonds with real milk chocolate Sugar almonds with real milk chocolate by Greek Wedding Favors|Orthodox Crowns|Stefana|Baptism Invitations Product #: Greek Wedding Favors|Orthodox Crowns|Stefana|Baptism Invitations_7992244091197113984 5 stars out of 5 reviews.